Students apply to whatever colleges they want without having any clue about whether these schools will give them grants and/or scholarships. Parents are often onboard with their children disregarding price when finalizing their lists. The attitude of these moms and dads can be summed up this way: Go ahead and apply and we’ll see what happens! If costs are an issue, this is a very dangerous approach to applying to schools. There is a better way now to target schools. No one should be applying blindly to schools anymore thanks to a tool called a net price calculator. You need to use this tool BEFORE your child applies to any colleges. 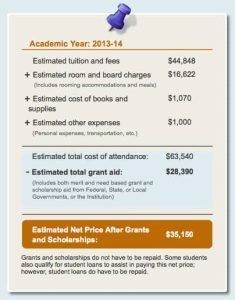 By using a net price calculator, you will discover what a particular school will cost your family once any merit scholarships and/or need-based aid that he or she would qualify for is subtracted from the official cost of attendance. When using a calculator, some families will discover that the cost of a $60,000 university will be $30,000 or $20,000 or even lower. For other families, the cost really will be $60,000. If you want to avoid budget-busting schools, it’s critical to know what the actual prices of particular schools will be before your child falls in love with them. In fact, turning to net price calculators could ultimately save you tens of thousands of dollars by focusing your efforts on schools that will be more generous to your family. Unless you are wealthy and the cost is irrelevant, I would argue that you shouldn’t let your child apply to schools that are way beyond your ability to pay. Every college and university that participates in the federal financial aid system, and that’s almost all of them, must post a net price calculator on its website for freshman applicants. Some schools also provide a calculator for transfer students. 1. These calculators provide a family’s net price. Let’s say, for example, that a college costs $50,000 and the student will receive a $30,000 award from the school and a state grant of $5,000. The net price for this student would be $15,000. The net price equals the true price of the college because it only considers free money and disregards loans when calculating the cost of a school. 2. Use net price calculators to test academic scenarios. You should turn to these calculators to get a handle on what sort of applicants capture the best awards at an institution. What kind of grade point averages or test scores does it take for a student to win a greater award from a specific school? To illustrate what we’re talking about, let’s look at the experience of a father whose son is a student at Northeastern University in Boston. When the dad initially used Northeastern U.’s net price calculator and plugged in his son’s SAT score of 1300 (out of 1600), the calculator estimated his grant at $20,000 for the first year. After his son earned a 1340 score on the SAT, the dad retried the calculator and discovered that the teenager’s award had jumped to $34,200. With this tool, you can manipulate the figures to see whether it would be worth it for your child, for instance, to take the SAT or ACT again. Would a higher test score boost your child’s potential package? Would a slightly higher GPA matter? 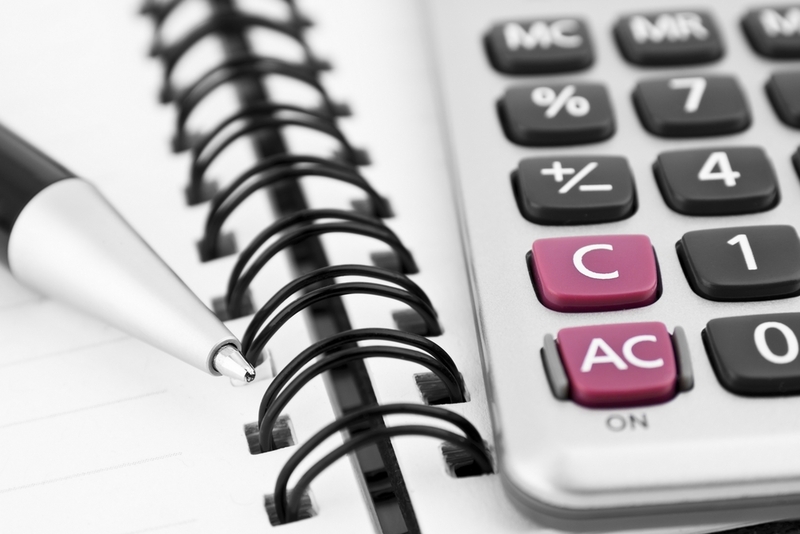 With so much money at stake, it’s worth taking the time to use these calculators strategically. 3. 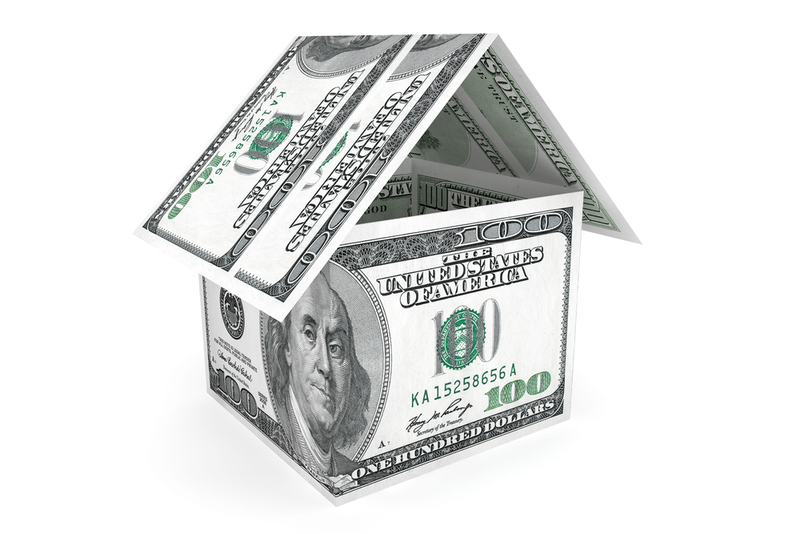 Use net price calculators to weigh impact of assets. These calculators can also be handy when you want to figure out how a school treats assets, such as a small business, rental property, investments accounts, and home equity for financial aid purposes. I wrote an eye-opening blog post (see link below) that illustrates how differently schools treat home equity. You learned earlier that private schools that use the PROFILE financial aid application can develop their own aid formulas to assess home equity. Schools that only use the FAFSA don’t ask about primary home ownership. In the blog post, I wrote about an unemployed New Jersey dad/engineer, who inadvertently discovered how two dozen institutions including Boston College, Dartmouth, Villanova, University of Rochester, Dickinson College, and Georgetown treated his home equity in significantly different ways that resulted in estimated awards that would have had the family pay anywhere from $0 to more than $40,000 for one year of college. 4. Calculators will vary in what information they require. To use many calculators, and particularly those of selective private schools, you will need your latest tax return and bank/investment statements. If your child has income and a bank account, you should gather that information too. If the school provides merit scholarships, in addition to providing need-based aid, a good calculator will ask for additional information such as a teenager’s GPA, test scores, class rank, and activities. A thorough calculator could take you 10 to 15 minutes to complete. 5. Some net price calculators are inaccurate. The weakest calculators rely on the federal-calculator template. Using a calculator that uses the federal template could take less than a minute to complete! The questions are minimal, which leads to dubious cost estimates. These federal calculators are only meant to provide personalized cost estimates — faulty or not — to families seeking need-based aid. And even then, the need-based aid answers are simply averages. How could this university provide an accurate net price when all it knows about some of students is his/her age and the decision not to apply for need-based aid! These federally-based calculators that NYU and others schools use will be absolutely worthless for wealthier families strictly seeking merit scholarships. These calculators will also often be inaccurate for students of households of any income because they do not ask questions that would determine if a child qualifies for a school’s merit scholarships. You can’t expect to get a reliable financial-aid verdict from any school using the federal template. Creating an accurate calculator isn’t a priority for some schools, which may also believe that applicants aren’t interested in them. Private schools can favor mediocre calculators because the tools can mask the true cost of their schools. Admission officers may advise applicants to ignore worrisome calculator results and apply anyway because the calculator results are unreliable. 6. Observe how many questions a calculator asks. Calculators that depend on the federal-template calculator ask few questions and don’t require the actual income that parents report on their income tax returns. 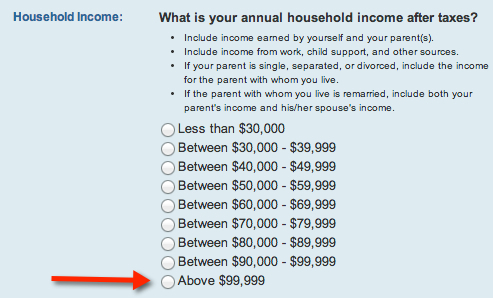 These federal-template calculators only provide income ranges and the highest income level the tool offers is “above $99,000.” (See below.) In addition, these calculators do not inquire about family assets! 7. Look to see that the costs are up-to-date. When using calculators check to see if the prices are current. When the Institute for College Success & Access did a survey of net price calculators in 2012, they discovered that 40% of schools were relying on old cost figures for their calculators with some going back as far as the 2008-2009 school year. Unfortunately, schools that use the federal template will be using cost-of-attendance figures that are at least two years old. We’ve found schools sharing much older cost data. 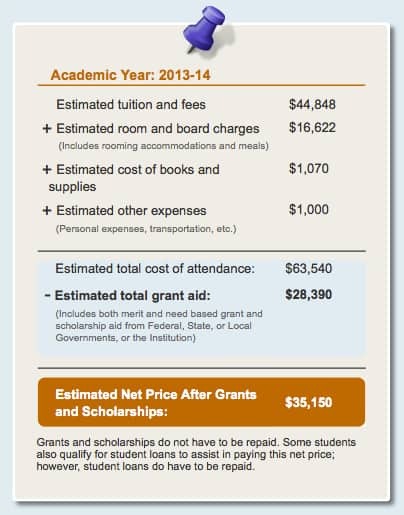 As you can see below, NYU was still using 2013-2014 figures when I checked today! 8. 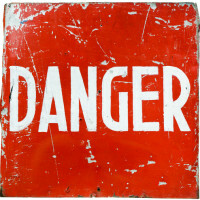 Net price estimates are not guarantees. The price that a net price calculator spits out is not necessarily what you will pay. While the goal of these calculators is to provide families with solid cost estimates, the figures aren’t binding. For instance, we previously mentioned the case of the dad using the Northeastern University net price calculator. The initial award the son received was lower than what the calculator suggested and the dad aggressively appealed the lower amount and eventually received more money. Not all families would do this or be successful if they push the issue. In general, the net prices generated by schools that have developed their own calculators should be much more accurate and these institutions should be more willing to stand behind their estimates. It makes sense to ask schools about the accuracy of their calculators. 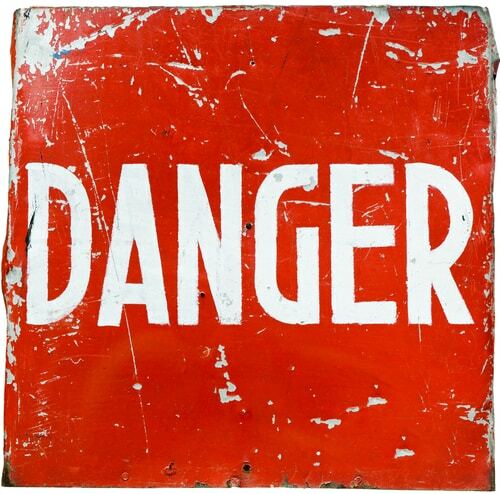 Be careful when inputting your information into a net price calculator. If the outcome seems wrong, try again. Ask a school’s financial aid office if you aren’t sure what information is needed. 10. Where you can find net price calculators. Schools are federally obligated to post their net price calculator for freshmen on their website. It can be hard, however, finding these calculators. Some schools don’t want you to use them because you could discover how stingy they are. An easy way to look for a school’s calculator is to Google the name of the institution and net price calculator. Use net price calculators before your child finalizes his/her college list. There is no point in letting your child get excited about particular schools if their costs will be exorbitant. Use these calculators strategically. See how assets and a child’s test scores/GPA could change awards. Ask a school how accurate its calculator is. Check how old each school’s cost figures are. Use the results of net price calculators to develop a list of schools that will be financially doable. If you want to become a smart college shopper and potentially save tens of thousands of dollar or more on college costs, I’d urge you to enroll in The College Cost Lab. You can learn more about my online course, which starts Sept. 15, by clicking here. Thank you for your very helpful blog! I would add that parents with children close in age who will be in college together will want to run the NPC at various schools for the years that both will be in college. For example, a university with a large endowment may be able to be much more generous in the grant package for the student when they have a sibling in college. 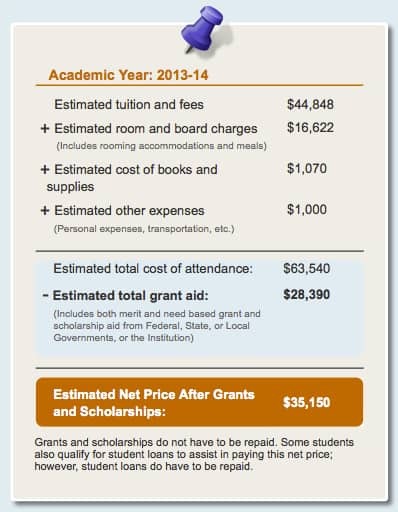 This seriously affects the overall 4 year cost to attend that college. For instance, my son was considering several top universities. I won’t name names, but one ‘top’ university simply doesn’t have the endowment that another (Ivy) did. So, since year 3 and 4 will be much cheaper for my son at the ivy than at the other top school, we eliminated the other school from his choices. as usual your posts are insightful – and disturbing. It is amazing that the federal government can require the financial calculators yet not bind the schools to the result. This is like walking into a store and finding out the advertised price is the one from four years ago. As you are concerned with transparency, you might want your readers to consider an eleventh factor: fees. Most universities have and elaborate and expensive course fee structure that can tack on significantly to cost. You can easily find yourself paying hundreds more per semester depending on the courses taken. Some of these mandatory fees are not even included in the bursar’s listed amounts. My daughter found herself paying for about $150 in extras that only showed up on the course syllabi. (just to give you an idea, this included $34 for a “clicker” to respond to the instructors presentation and a $66 “key” for a one time use software package). Do not expect transparency.